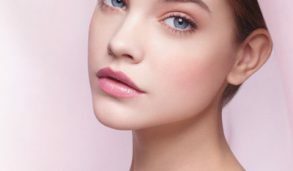 Contrary to popular belief, it is not always necessary to book an appointment with the salon for brow-tinting and micro-blading to define your brows. You can do that sitting right at your home coupled with the best drugstore eyebrow pencils. 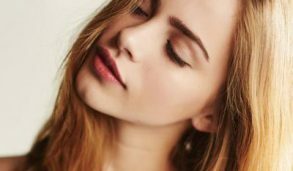 Today, we are going to take a look at some of the best-rated eyebrow pencils which can give you an instant face lift and make you look gorgeous. If you are on the lookout for an eyebrow pencil which is accompanied with a brow powder, then the Maybelline’s Brow Define And Fill Duo can serve as your best bet. 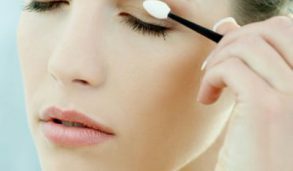 It can help you in achieving smooth brows by simply defining and filling it up. 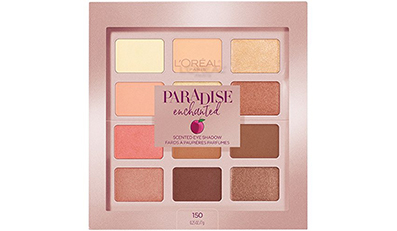 This game changer in the world of eye makeup is secured at both its ends with durable caps which further add to its travel friendliness. You can easily gauge the color of the product by taking a look at the cap of the brow powder. These drugstore eyebrow pencils glide smoothly over the skin and stay even during sweltering summer months. While the thin pencil end brings precision, the blunt powder end assists with the smudging functions. It fills in all the gaps for imparting a neat look to your brows without feeling artificial. You can now impart a more polished yet natural look to your brows with the slim mechanical pencil from Elf Cosmetics. 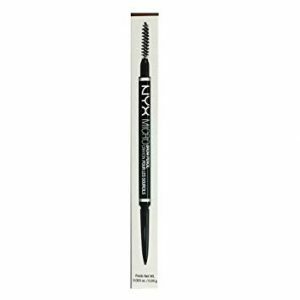 Its dual-sided design offers greater versatility and allows you to apply color using the fine tip liner while combing the unruly brow with the mascara-like wand. These drugstore eyebrow pencils can serve as the ultimate choice of beginners and is available in three different shades of neutral brown, taupe and deep brown. 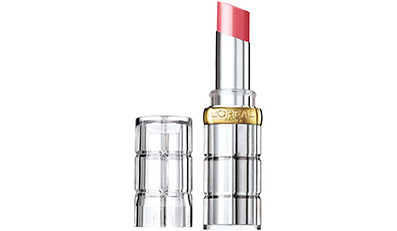 Accentuate your features with the L’Oreal Brow Stylist Designer Eye Pencil which imparts a soft and natural finish. This dual sided eyebrow pencil comes with a soft crayon tip on one end and a spoolie brush on the other for creating a feathering effect. You can take your pick from the three available shades of brunette, dark brunette and blonde of this long wear eyebrow pencil. 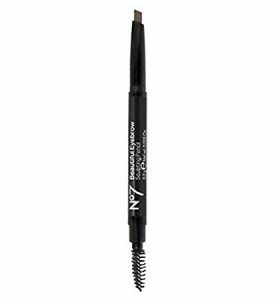 This precious drugstore product from the house of NYX Cosmetics can add precision to your eye makeup routine. 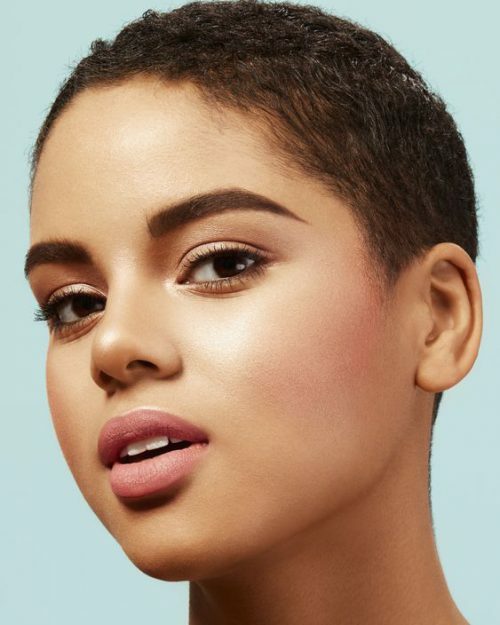 These drugstore eyebrow pencils can serve as your perfect ally in building bold and beautiful brows but in a subtle manner. You can take your pick from the eight different shade options of this easy to use an eyebrow pencil. It doesn’t feel over-the-top smooth which is actually a good thing. Its ultra-thin nature helps in covering even the tiniest corners of your eyes. This micromechanical brow pencil can shape, define and fill in sparse eyebrows for creating the illusion of natural brow hairs. You can define your brow with short strokes and follow it up by softening the edges with its spoolie end. 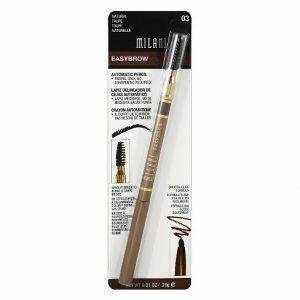 The Easy Brow Automatic Pencil by Milani’s can help in filling even the smallest of gaps to impart a natural-looking volume. The water-resistant formula of these drugstore eyebrow pencils glides smoothly for adding shape and definition to your eyebrows. You can take your pick amongst the dual available shades of dark brown and natural taupe for even and fuller brows. The spoolie brush helps in seamlessly blending the eyebrow color to usher in professional results. 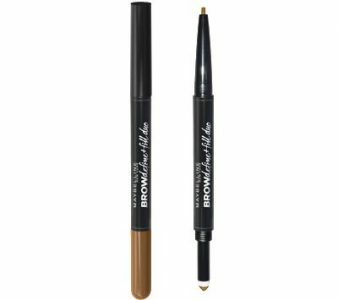 One of the best attributes of this eyebrow pencil is that it doesn’t tag along with a stretchy feel and can even cater to the requirements of amateurs in the best possible manner. This sweat resistant formula can beautifully define your brows using its triangular pencil tip. The small strokes created by it can create a lovely illusion of fine hairs to impart a more natural look. 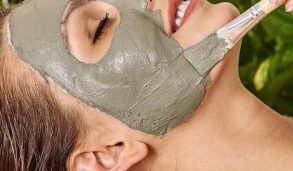 Its built-in spoolie can blend in the color for a smooth feel. You can take your pick amongst the four different shades of medium brown, ash brown, dark brown and taupe. 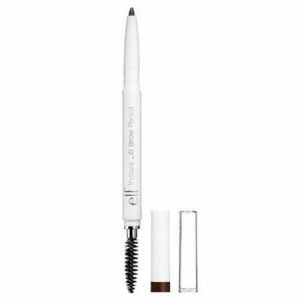 This ergonomically designed eyebrow pencil is extremely easy to maneuver for creating beautiful looks time and again. 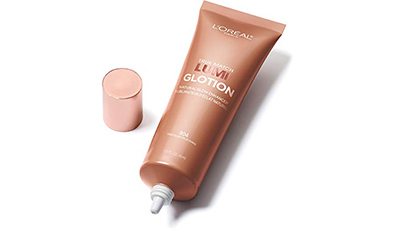 It’s waxy built-up ensures that the product stays put throughout the day with its excellent hold. 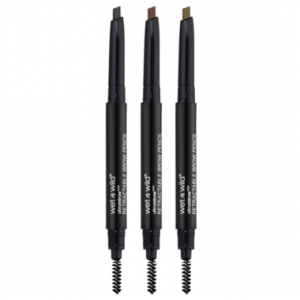 The angled tip of drugstore eyebrow pencils makes it the optimum choice for defining and sculpting your brows. It can help you in nailing a perfectly groomed finish with the accompanying fiber brush. This smudge resistant eyebrow pencil is available in the four different shades – blonde, black, grey and brown, thus opening up diverse possibilities ahead of you. 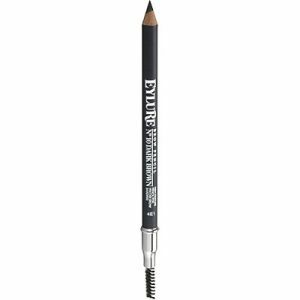 The brow defining and shading pencil from Eylure is rich in conditioning and nourishing oils which can cater to the health meter of your brows. 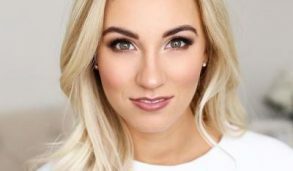 You can easily fill in the sparse spots of your eyebrows using its pointed tip for enhancing your overall look with a subtle hint of color. Three color options – mid brown, dark brown and blonde are available for customers to take their pick. Its paraben free composition makes these drugstore eyebrow pencils the perfect choice for being used by ladies suffering from eye and skin sensitivity. The brow crayon can keep your back throughout the day without bringing along a cakey feel. You can finish off your look with an effortless swipe of its dual-ended mascara brush which can groom your brows for that effortlessly blended look. 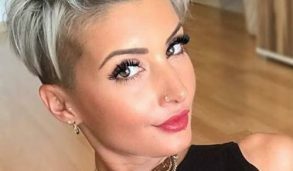 Some women are blessed with bold and gorgeous eyebrows. But for the rest of us, there are drugstore eyebrow pencils like the ones mentioned above. 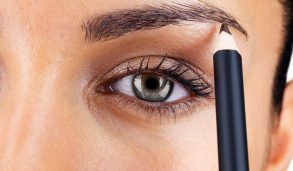 If your eyebrow plucking episode has gone drastically wrong, then you can transform your brows remarkably using a good eyebrow pencil. Makeup artists usually recommend an eyebrow color which is at least one shade lighter than your natural color. This imparts a soft and subtle feel to your brows and makes them look realistic.